For the majority of people seeing in a brand new year is the high water mark for new beginnings and resolutions. 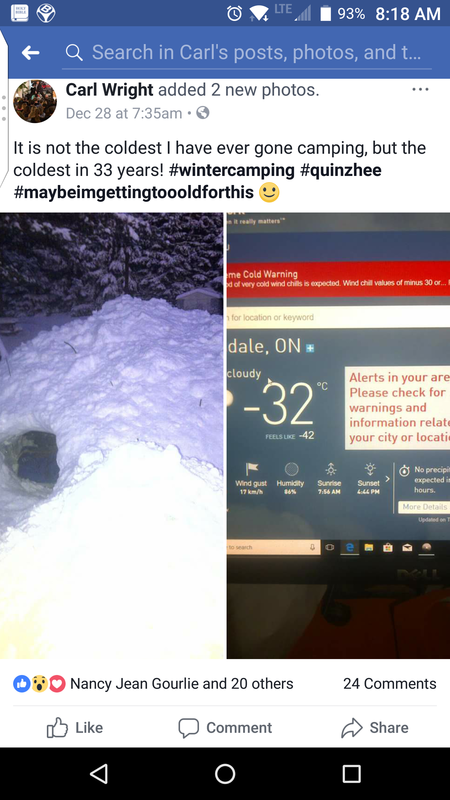 Not only in Canada is January 1st around the coldest time of year, with minutes being extracted daily since late June, it is also 10 days off from being the darkest day of the year. This makes it really tough making resolutions that stick. I like reflecting back on the previous year on January 1st, but prefer looking ahead to the new year much earlier. In December I leave for work in the dark, and once I arrive home it is getting dark. Most of my December runs end up finishing using my headlamp in the dark. November, with their 1st snows of the winter has always been a tough month on me emotionally. Seeing December arrive is a relief. It is the season of Advent, which leads up to magic of Christmas Day. And between Christmas and New Years there is much anticipated time off. It is a week I hardly do anything except read, sleep, and get outside to inject some daylight in my bones which recharges the batteries. I love it when December 1st rolls around because it also means a new look for me. During the month of November I am madly growing my moustache with a team at my work for the Movember Foundation. We raised just shy of $6,000 and brought awareness for men’s prostate and testicular cancer. 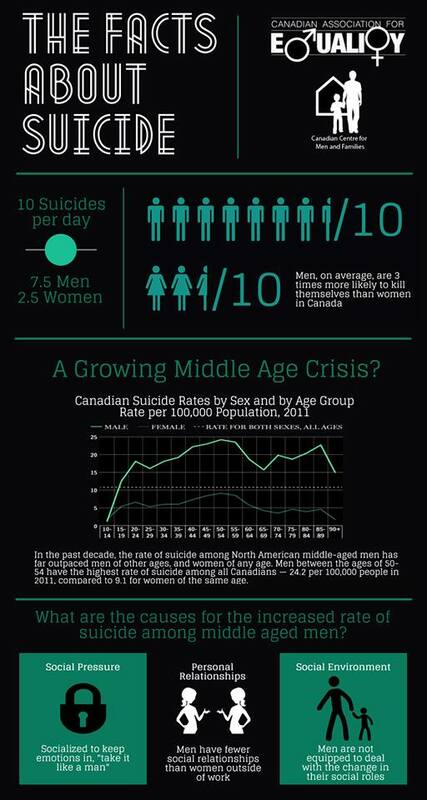 The other focus of Movember is men’s mental health and preventing suicide in men. This is all so important. As a male I know I do not get routine check ups at the doctor nearly enough. And for fear of “what people think” I keep my struggles with my mental health inside of me far too much. 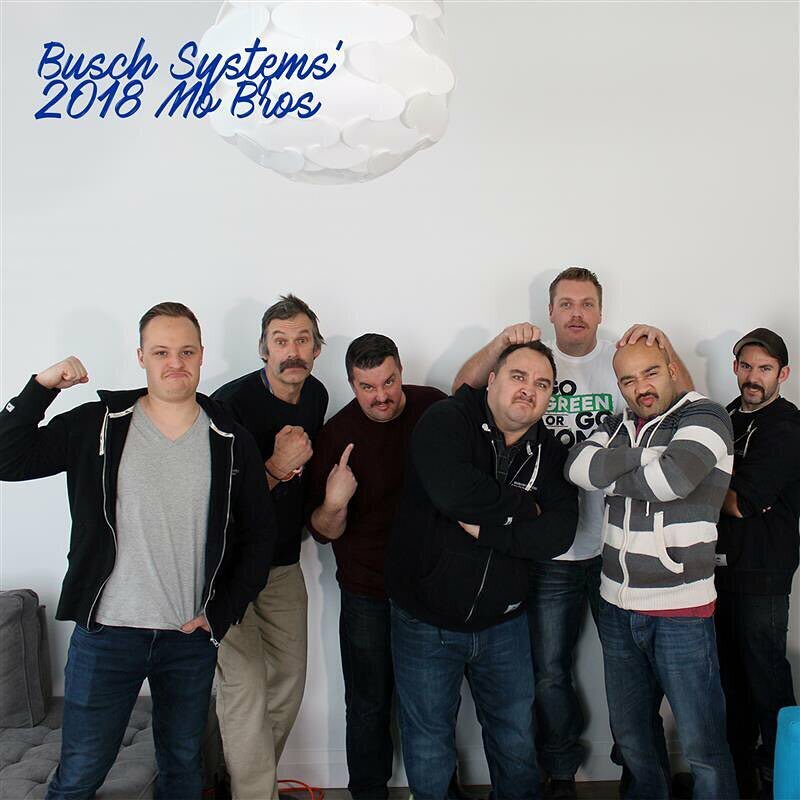 It ended up that I won the title of Mr. Movember at my work, after beating out some very tough mustache growing contenders. I know I will never win any title with my running. But if becoming Mr. Movember 2018 gets even one man reading this to seek help in time, it will be all worth it. Coming alongside the Mo Bros are the ladies, the ever so important Mo Sistas! They fundraise, commit themselves to keeping active and they bring awareness to the importance of men’s health. They are champions, doing everything Mo Bros do, except grow a moustache. So I started December 1st with a fresh start with a new haircut and a clean shave. This was to the delight of family members and several of my dear work colleagues and friends. And there could not be a better way to start off this new month and new Christmas season than with a race. My work put a team together and generously paid for our registrations for the Santa Shuffle in Barrie. Held in 38 locations all across Canada, proceeds from this important event go to help the Salvation Army. Such an important organization that provides support to the less fortunate all across Canada. 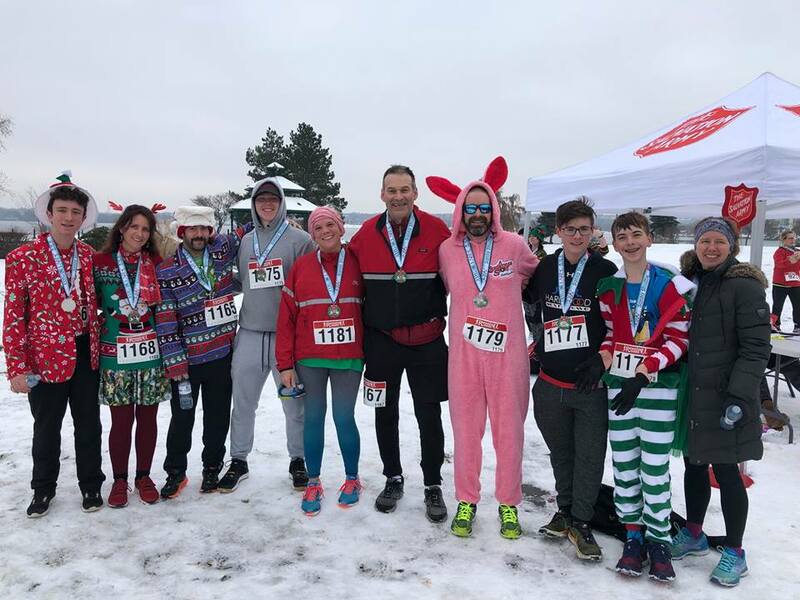 That is me, the tall guy next to the bunny after finishing the Santa Shuffle. A new haircut and a clean shave for myself. It was such a fun, festive atmosphere for this 5k. So many people were dressed in Christmas colours. Mothers and fathers were pushing jogging strollers. Others were running with their dogs. What I loved the most was that there was a lot of families with children participating. And at the finish line everyone received a really sweet Santa Shuffle participant medal. 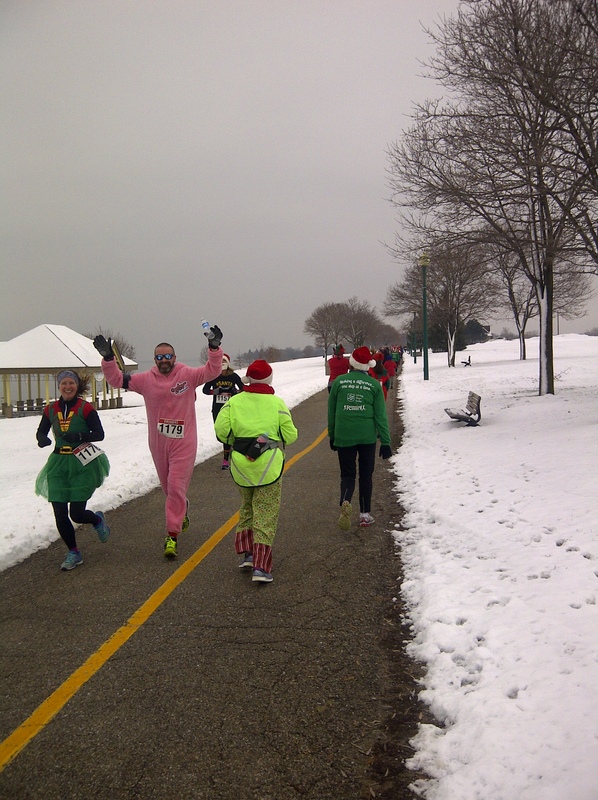 Marty, who put our work team together (in pink) and his wife Jenny (to Marty’s right) dressed in festive colours for Santa Shuffle. 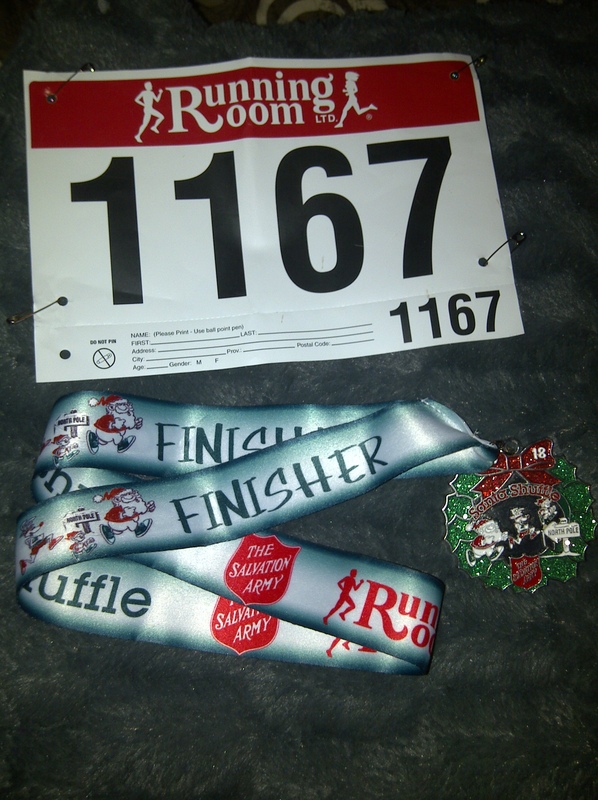 Love the Santa Shuffle participant medal. For many Ontario trail runners the beginning of December means starting fresh with a new beginning as the focus now lies on the upcoming 2019 race season. 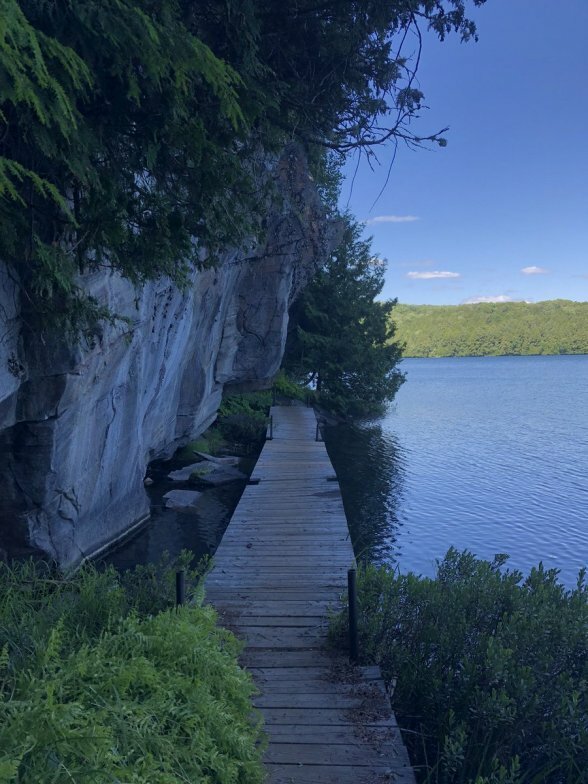 OUTRACE (the Ontario Ultra and Trail Race Series) has finished for 2018 and the final points are posted. In 2018 I ran 2 races in the 50k series, Pick Your Poison and The Limberlost Challenge. Was pleasantly surprised with my final results in the 50k males all ages division. I was able to finish in 50th place out of 336 male 50k participants. Always love the 50k Pick Your Poison. The 2018 10th anniversary edition had more snow than any of the previous 9 years. 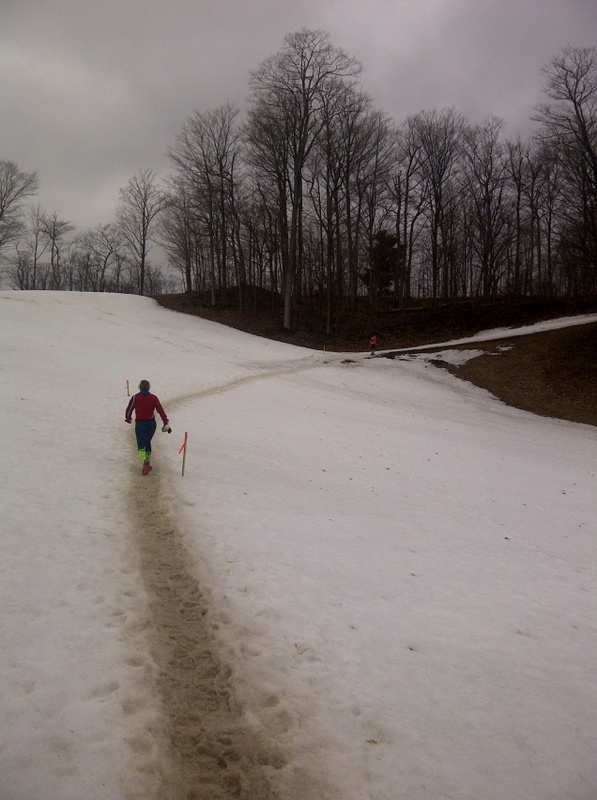 Registrations for both Pick Your Poison and The Limberlost Challenge opened on December 1st. I registered for Pick Your Poison 50k just a few minutes after registration opened at 8:00 pm, and am so looking forward to being on that start line for the 4th year in a row. I need to be registered to keep myself focused with my training. Particularly through those long, cold winter days and nights. I am undecided on what other races to attempt in 2019. These next few weeks are fun times as there is a lot of interaction between runners particularly on my Twitter. Who is going to be running which races? It is always so much fun learning I may have the opportunity to meet a runner I have followed, admired and interacted with for months or even a few years at an upcoming race. There are so many amazing runners out there. After running 150 kilometers at Bad Beaver Ultra, for 60 years young I’m looking somewhat scruffy in this photo. 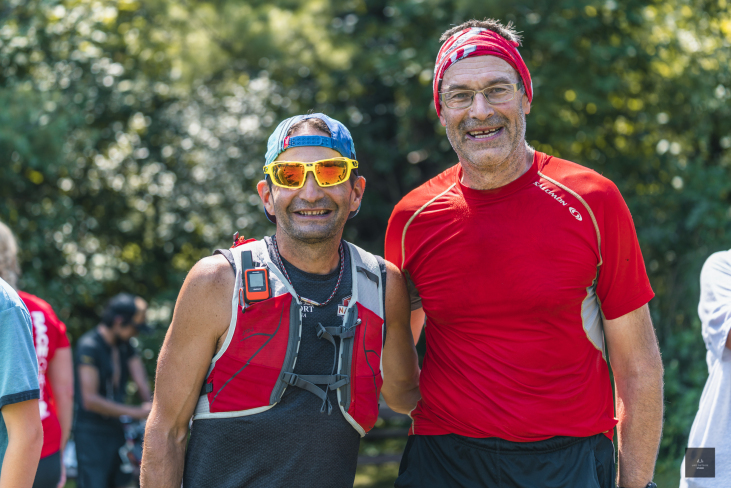 But meeting ultra extreme adventurer Ray Zahab (who is race director at BBU) was a huge highlight for me in 2018. Which ultra runners I follow will I meet for the 1st time in 2019? Great article, Carl. Merry Christmas to you. I may be affected by the Seasonal Affective Disorder!! 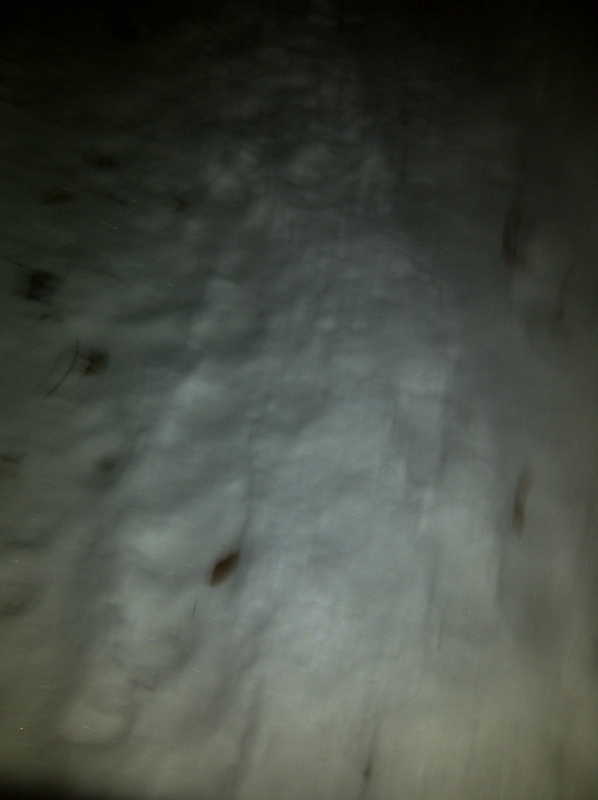 I think it is amazing to keep up with running even in the winter !! I look forward to signing up for a race in 2019 !! 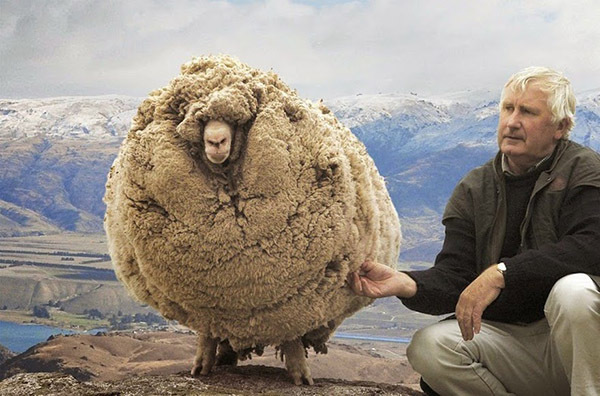 Merry Christmas Carl ! You’ve always had kind comments to say about me, but YOU Carl are a huge inspiration to me, and lift my spirits whenever I get to see you (especially at races)! Looking forward to another year of crossing paths and being iron that sharpens iron! 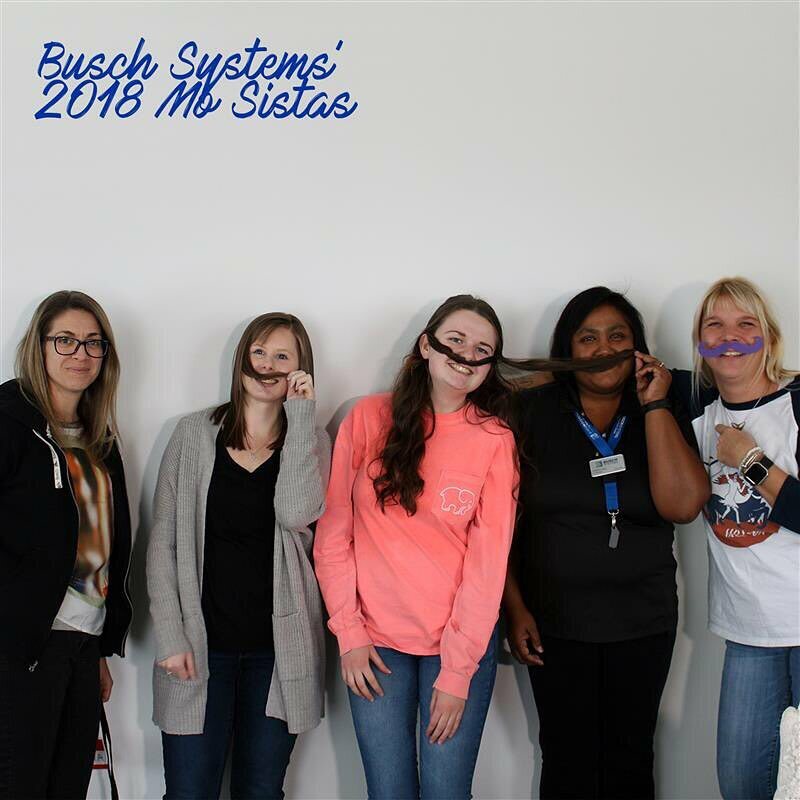 It is so great to raise awareness for important topics and the mustaches are fun. 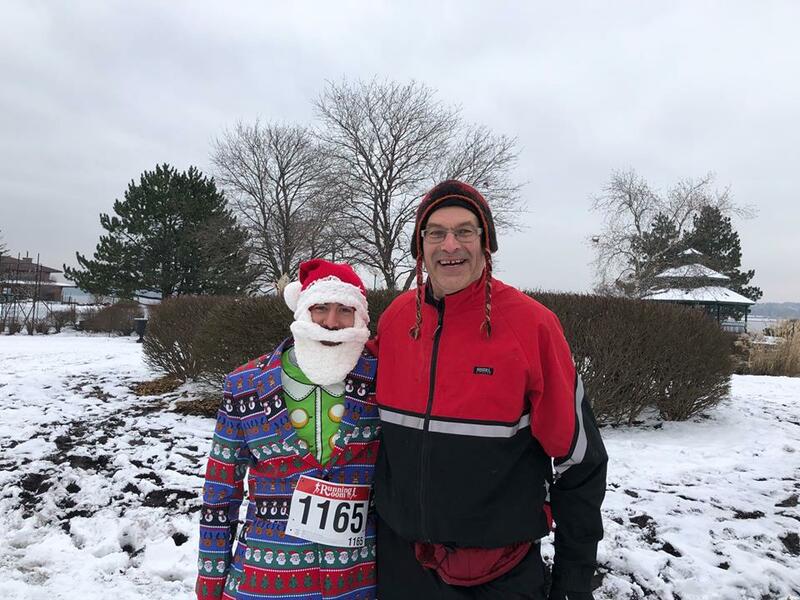 And also congrats on your running success – I recall last year when you camped out in that cold and whew – one tough fella! Thank you so much for sharing Yvette. 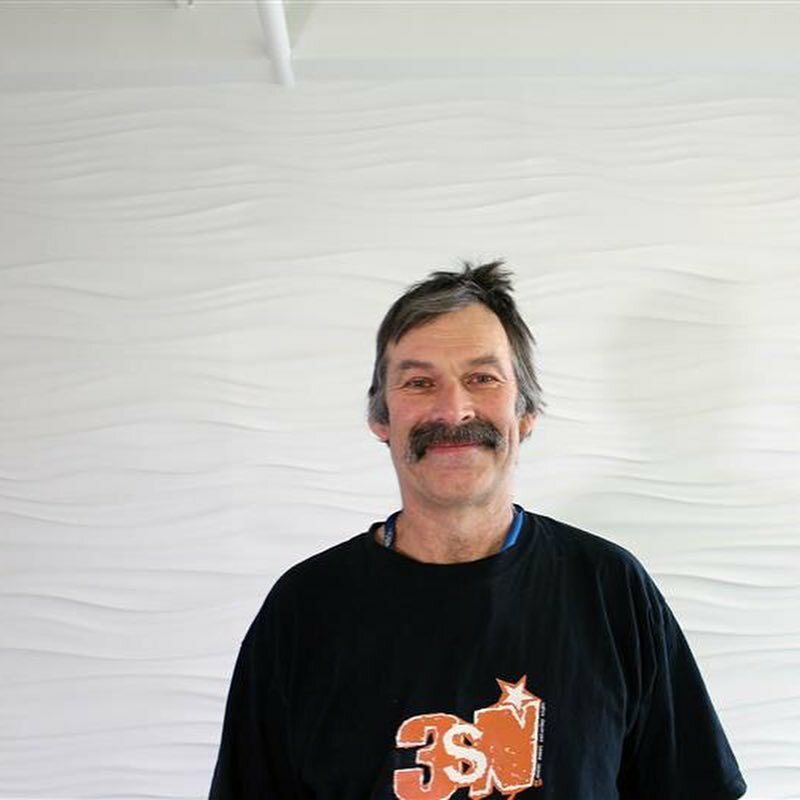 It was a lot of fun and camaraderie with the Movember, Each year I seem to be chosen for the winning moustache, and the one year I wasn’t I was down in New Zealand visiting my daughter, lol. It felt good someone else won the title that year. You look like a cowboy with that ‘stache! I’m excited to read about your training and races in 2019! Every time I see one of your posts I get a bit closer to considering an ultra. Carl I so appreciate your honesty in your posts. I think when we are able to share our own struggles , others are given hope and courage to come forward and seek help. Bravo to you! Congratulations on the moustache win. Clearly by the photos you are the obvious first place finisher. Also such great finishes in the race results. I’ll be cheering you on in the year ahead!